CPL Architects work with Churches, Charitable Organisations and Community Groups. Our work primarily relates to the development of church buildings, but also includes projects which provide facilities for people with learning difficulties, youth centres, conference centres and residential projects. Many projects include an element of residential enabling development. Some Christian groups who have contacted CPL are looking for new premises to contain the growth which has occurred in their numbers. Others are genuinely concerned that the inadequacies of their present buildings are seriously affecting their ministry, but wrestle with the idea of using expensive professional help as they have little or no resources to draw upon. Some Charitable Organisations need a wide-ranging overview of possible building development options, with financial analysis on a comparative basis, at the early stages of a project. Some have large visions but are rightly concerned about the cost implications of proceeding with such significant ventures, while others have funds in place and wish to appoint an organisation which shares their Christian vision and which has the skills and competence to take this through from conception to completion. All without exception need the professional help which CPL Architects can provide. CPL have developed a rigorous process for the evaluation, design and construction of building projects, which is linked to the RIBA plan of work stages set out below. This enables our clients, who are primarily Charities, to take a step by step approach to building developments, to tie in with their fund raising approach. BA (Hons) PGDip, PGDip (MPL Arch), ARB, R.I.B.A. The Map indicates the locations of our Head Office in East Sussex and Northern Office in Durham. 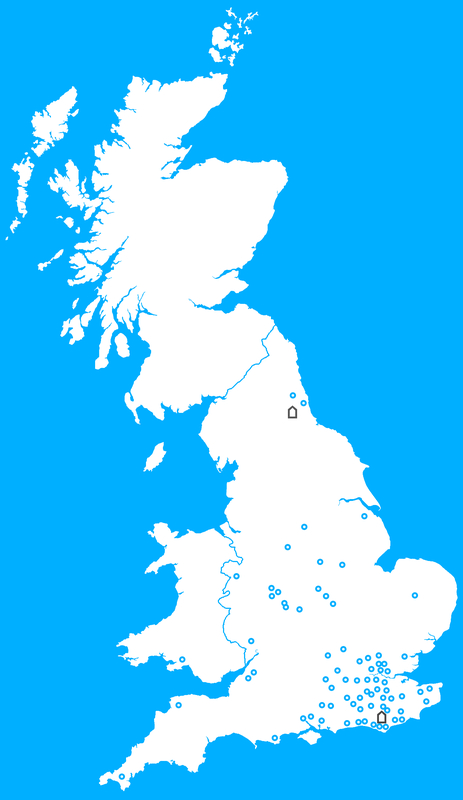 Locations of projects by CPL Chartered Architects in the UK are indicated with a circle. In some cases, clusters of projects in close proximity are indicated by one symbol, for clarity. Salvus House credit: Nicholson Nairn designed originally as HQ for Sunderland Marine Insurance Company Ltd.
Chaucer Business Park Credit: Connor Developments Ltd. (image Credit: Google).